We are available round-the-lock, 365 days per year with our assisted transport services as well as with setting up health paramedic units for cultural and sport events. 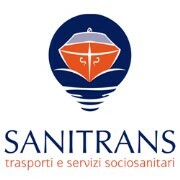 Sanitrans' focus is on health and social transportation in the Venetian lagoon and in the mainland; specifically our services inclyde: planning transports for persons with disabilities, individuals or groups, from and to hotels, restaurants, museums, etc; setting up health paramedic units and first aid units, supply of walking aids. We require that our customers provide us some telephone availability so that we can can communicate any variation to the routes due to unforeseen events. The company implements procedures handling emergency situations, and employees are required to undergo specific education and training. Sanitrans plans and sets up health paramedic units for cultural, artistic, sporting, folkloristic and political events.